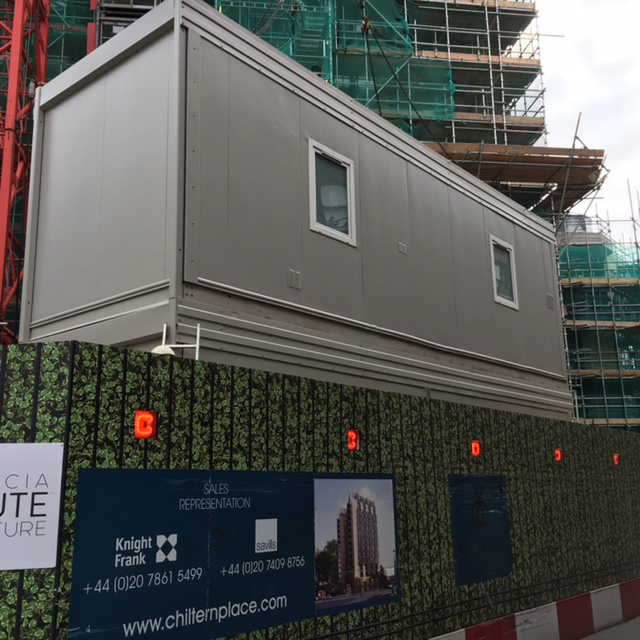 Due to their City Centre installation, expertise and strong project management teams, Premier Modular Limited was awarded the contract to supply 8 modular bays to be used as office and welfare facilities. 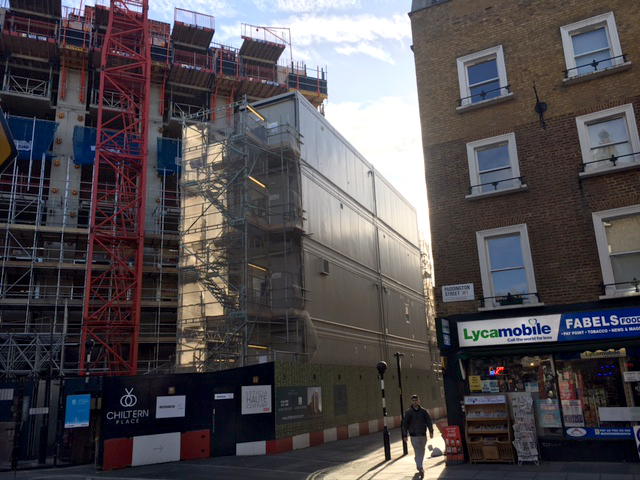 International House at 66 Chiltern Street is a commercial building at the heart of Marylebone and being converted. 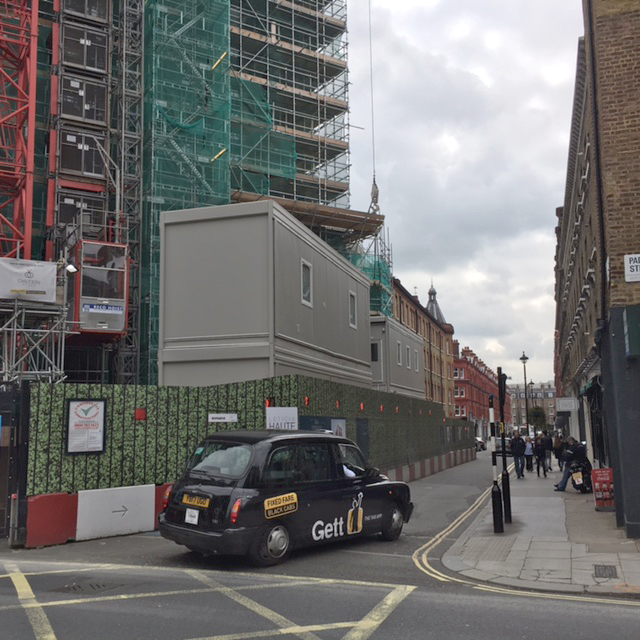 It’s a redevelopment of a 12 storey office building to form 55 residential units and townhouse in Marylebone, London. The old building was originally constructed in the 1960s and reclad during 1989. Whilst the works take place, high quality facilities were needed for the full construction teams’ use during the construction period. The majority of work was carried out at Premier’s large and efficient East Yorkshire factory. 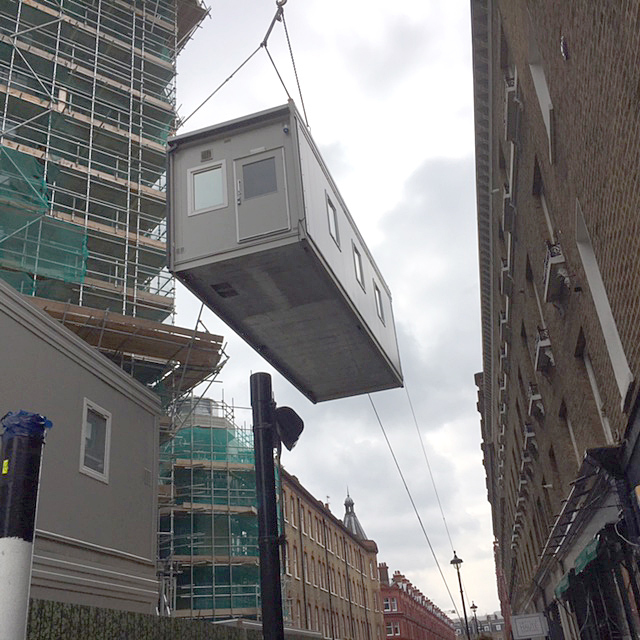 We were able to erect and complete the building on site within one week, causing minimum disruption to the ongoing development and surrounding area.